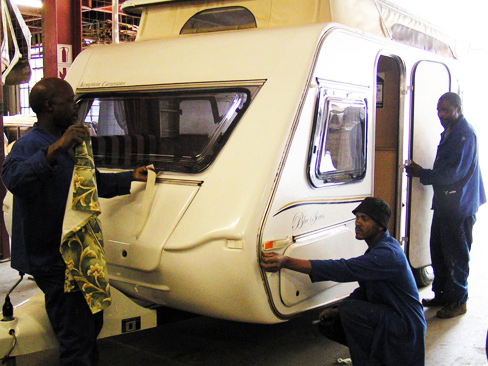 Kempton Caravans & Campworld's A-grade workshop professionally undertakes repairs and modifications to all makes and models of caravans. With our fully equipped workshop, trained staff and friendly approach we gaurantee excellent service. We have years of experience and we are always willing to offer advice. Contact us for a free quote on servicing and repairs. Repairs, modifications, re-builds and under carraige service, all types of work under taken by our workshop. 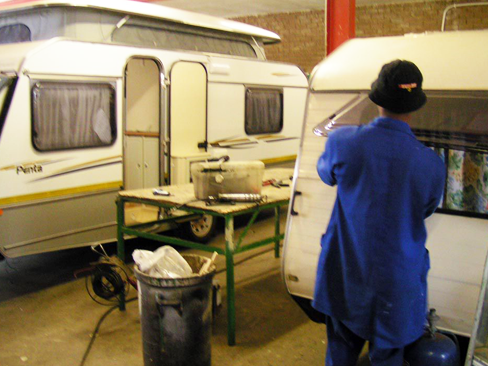 Tents for repairs and modifications may be dropped off at Kempton Caravans, they will be uplifted and repaired by Canvas and Aluminium Concepts our authorized repairer.